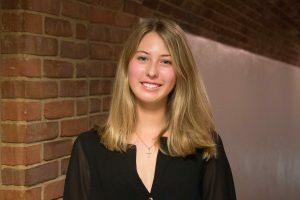 Claire Barnett ('19) is the Multimedia Director of the Vanderbilt Hustler. As the director of all photo and video content, she is rarely seen without a camera in hand. Claire is a former White House Photo Office Intern majoring in Human and Organizational Development with a minor in Italian Studies. She loves her family, her faith, and chocolate-chip cookie dough.